More photos can also be seen on their own website. 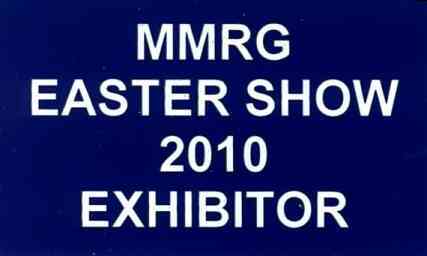 The Moray MRG's exhibition ran over Easter weekend (the 3rd and 4th April). 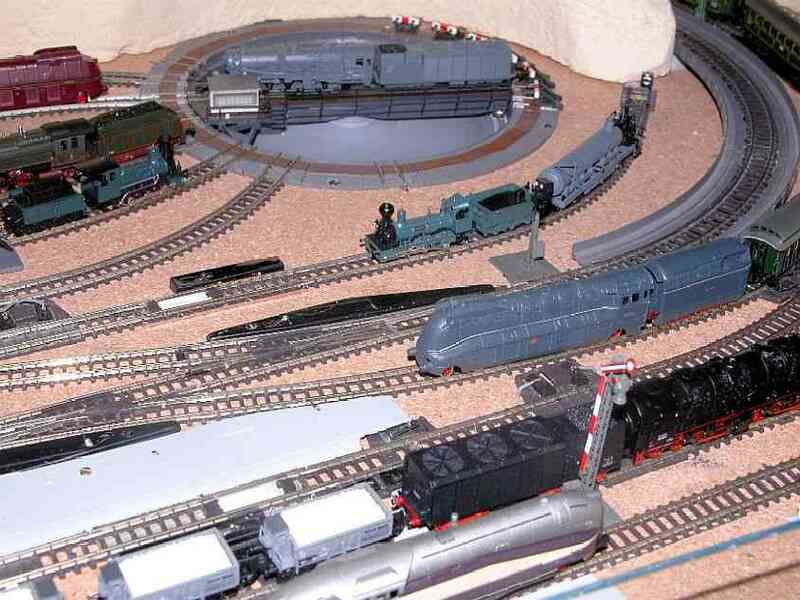 There were some 50 stands, of which 13 were layouts varying in scale from G to Z. Once again, Breitenfurt behaved very well throughout the exhibition, both in the reliability of the stock and that of the signalling and routing logic, and drew a lot of positive comments from the visitors and other exhibitors. 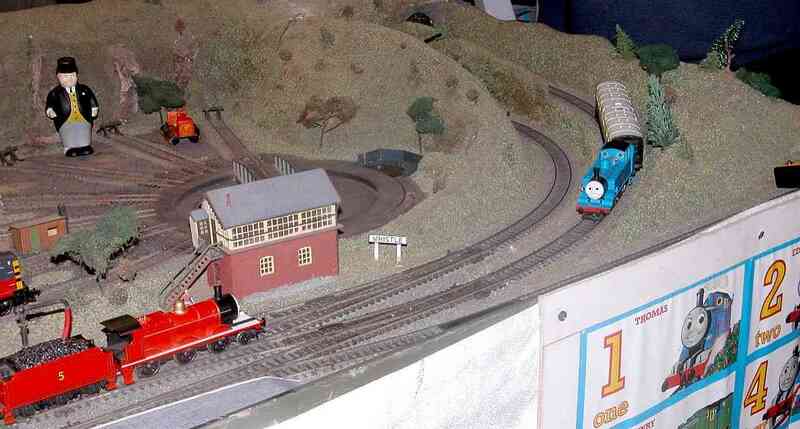 The layout was situated at the top of the stairs to the first floor (2nd floor in the USA) in a fairly dim location. As it was to the side of the stairs most people did not notice it as they came up but on way down it was straight in front of them so could not be accidentally missed. As at Falkirk, the lighting was easily seen from a distance. A new innovation at this exhibition was a cover over the layout (giving protection during transportation) which folded down to act as a skirt in front of the layout. 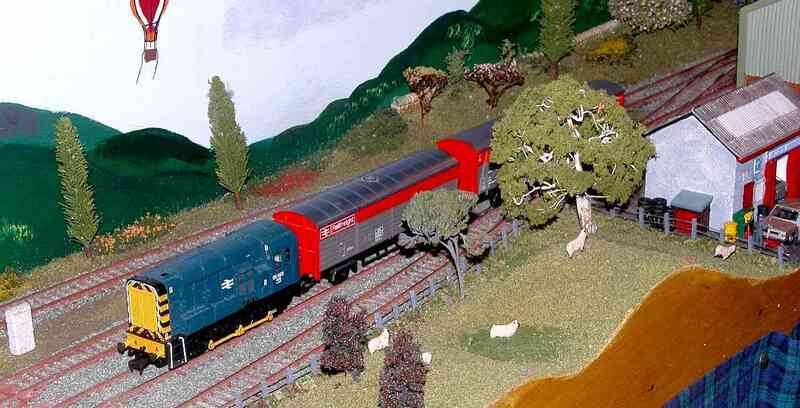 Not only did this carry the layout description etc. 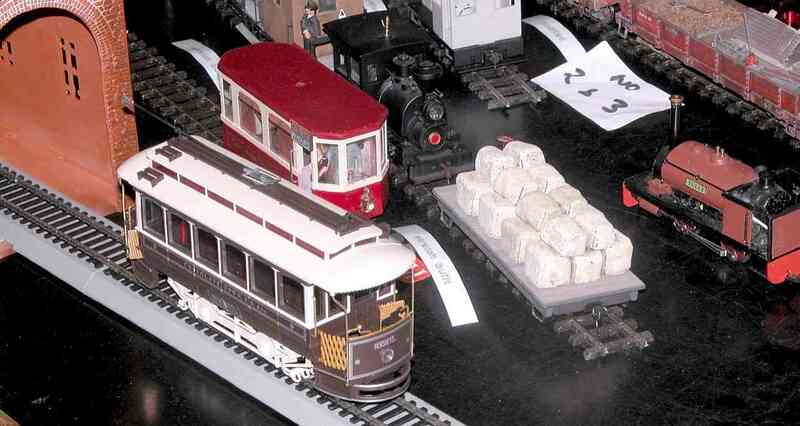 thus giving the user a clear view of the layout, but it was used to carry brief descriptions of the more interesting trains running during the course of the exhibition - an addition much appreciated by some visitors. 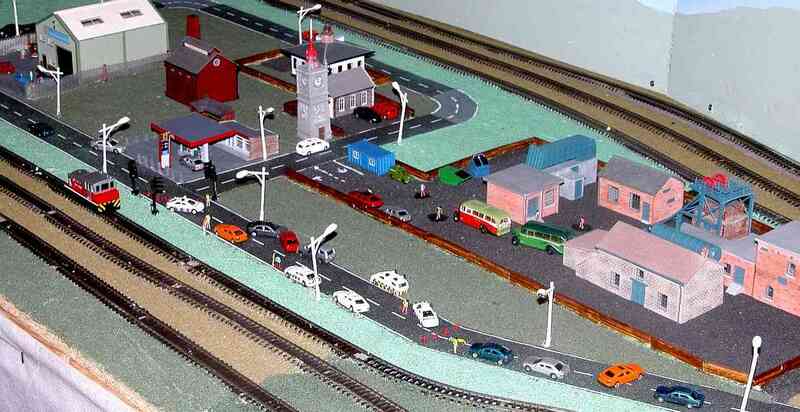 Image 1: Pre-exhibition early morning view of the station and its environs. Image 2: As a BR61 hauled Henschel-Wegmann thunders through the station, passing a BR530 on the relief road, while a BR0310 on a light duty pulls into track 3 with a commuter train. 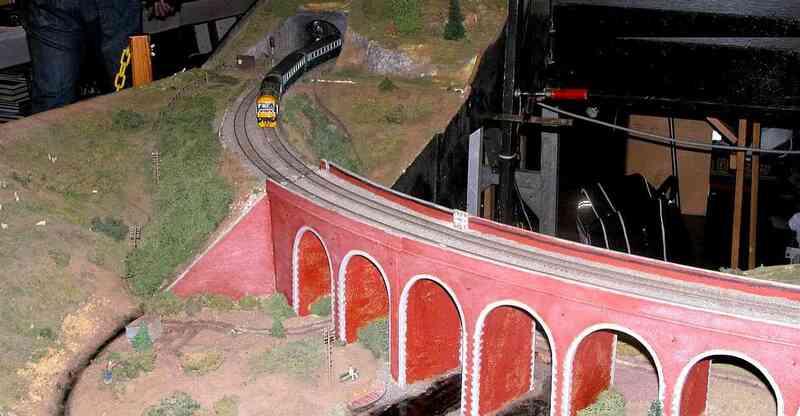 Image 4: A Bavarian B VI (1869-1912) can be seen pulling Ludwig II's royal train into track 1. Image 5: A train of Bavarian Epoch I coaches arriving on track 4. 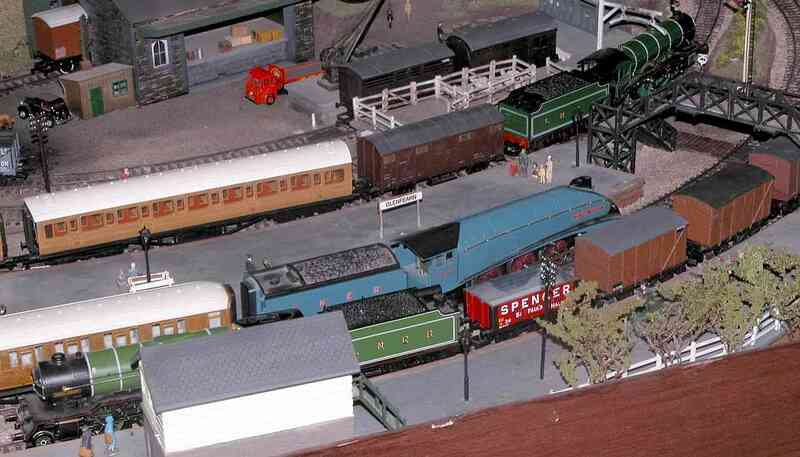 Two early Bavarian locos can be seen "on shed". 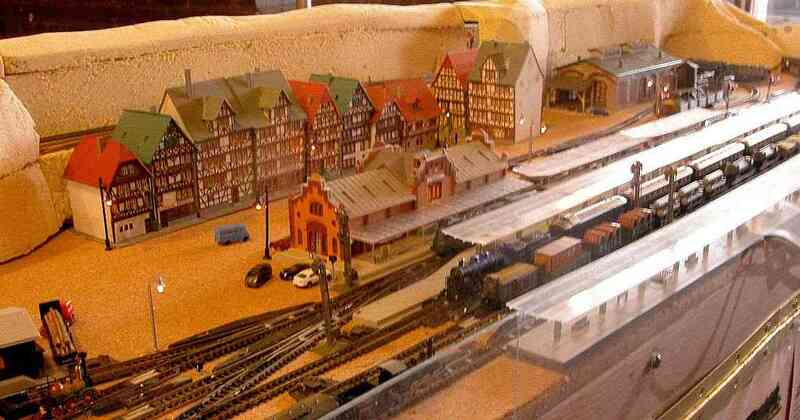 Image 6: With the royal train in the foreground, the first German designed and build loco "Saxonia" can be see behind. 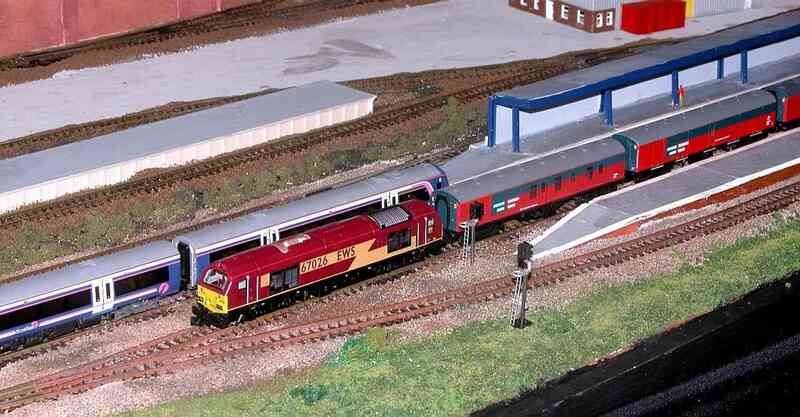 Image 7: A BR0310 pulls a train into track 4 while a Br52 with condensing tender is being turned ready for service. Image 8: The operator's view of the west end of the station. The strange wagon behind the B VI is used to impregnate sleepers with creosote under pressure. 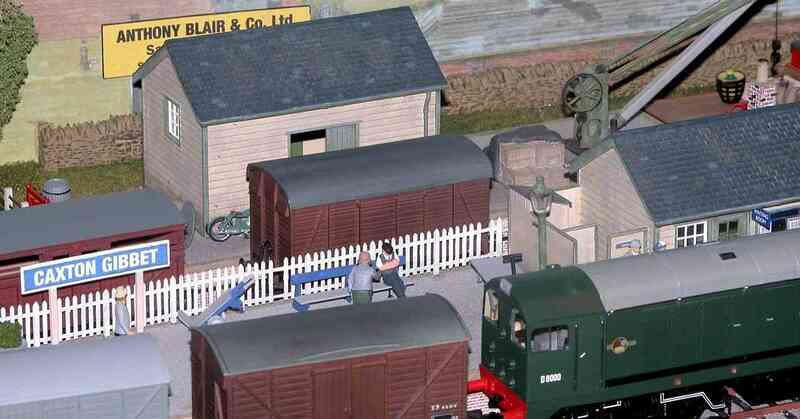 There are two more images from the Moray MRG website. 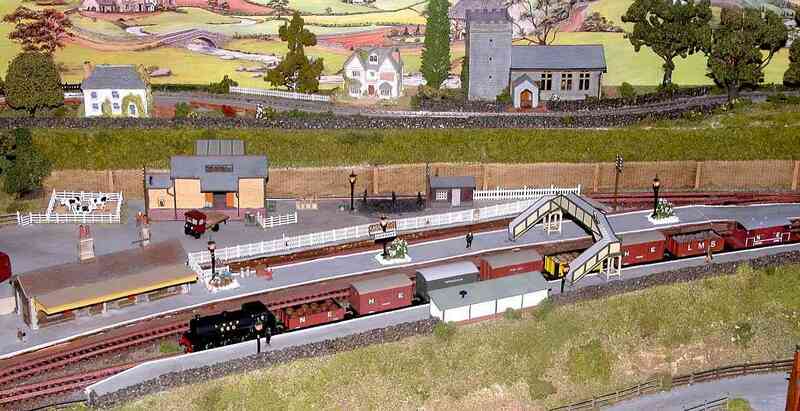 Set in the 1950s, this model shows what the station might have looked like had Great Easter Railway plans been realised. Caxton Gibbet refers to the pub and gibbet approximately 10 miles east of Cambridge. I missed this layout in my quick look round the exhibition. 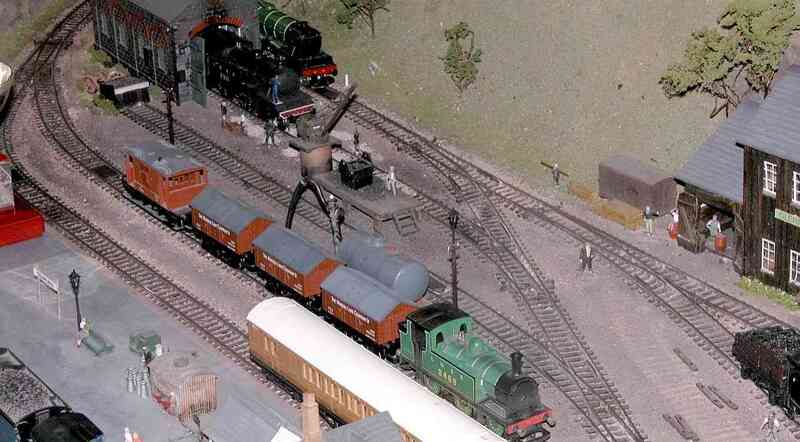 This 2009 image is from the Moray MRG Website. 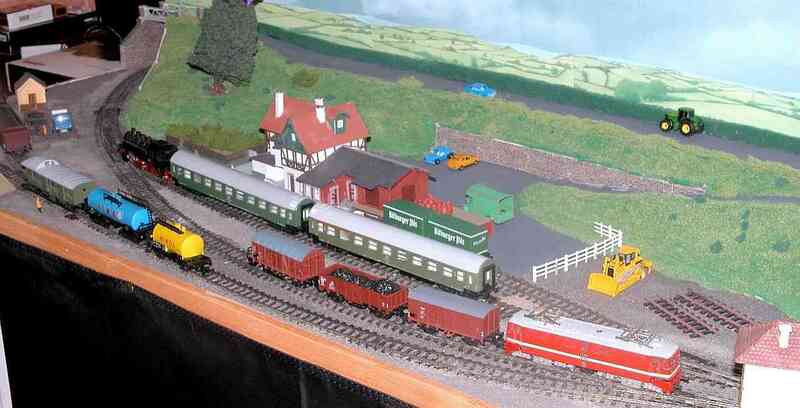 Lancefield is a fictional railroad somewhere in the Canadian Rockies serving the lumber industries in the 1940s. Shays, Climax, Baldwins and the occasional diesel appear on the line transporting timber from the mountains to Alanton Junction. 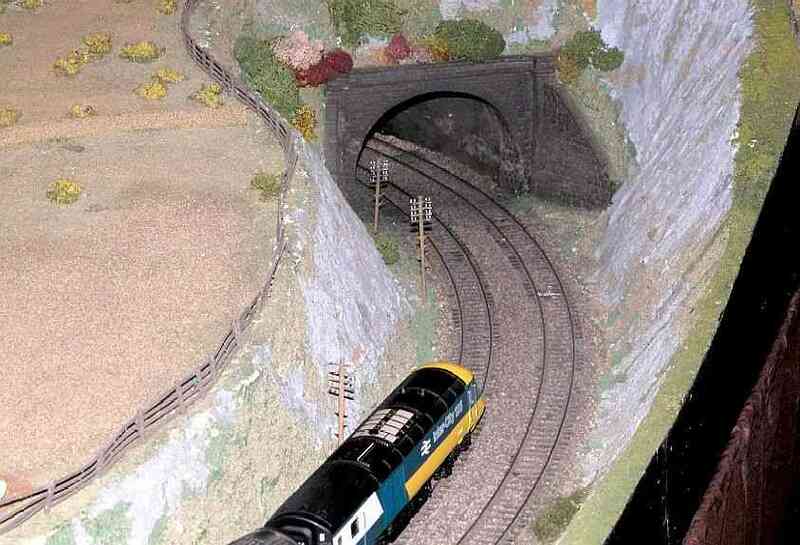 A 'watching the trains go by' layout modelling a stretch of main line somewhere in Scotland in the 80s/90s. Some 40ft long it hosted a variety of long trains from the era. Very impressive was the sound of a diesel idling as it waited for its signal to clear. 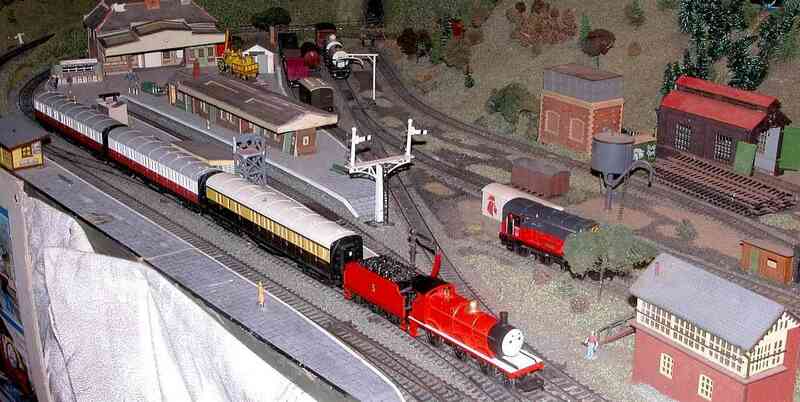 For a small contribution, members of the public were able to have a go at driving Thomas or James around this attractive OO layout. The money raised was donated to a local charity. 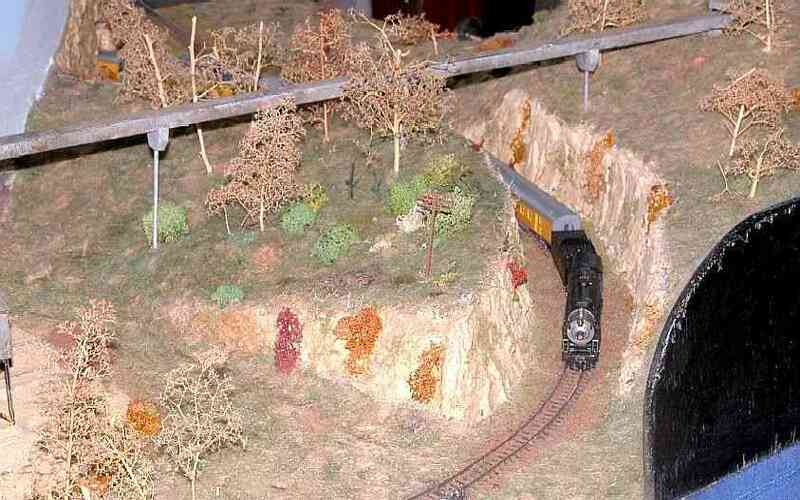 This will be the last outing for this particular layout as a new one is being built. 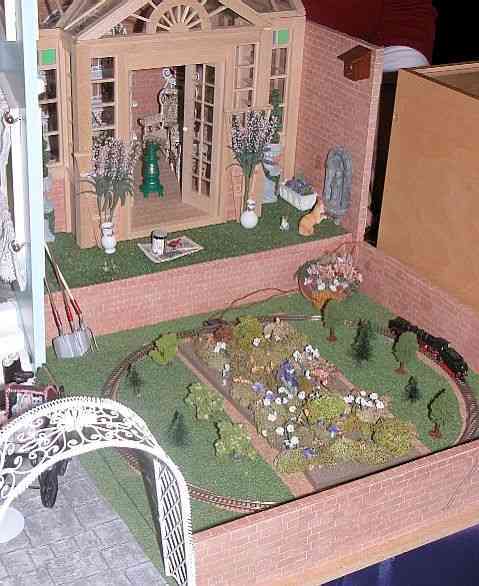 A rural station somewhere in central Germany and Mary's 1:12 garden diorama with 78mm gauge (actually Z scale) Railway. 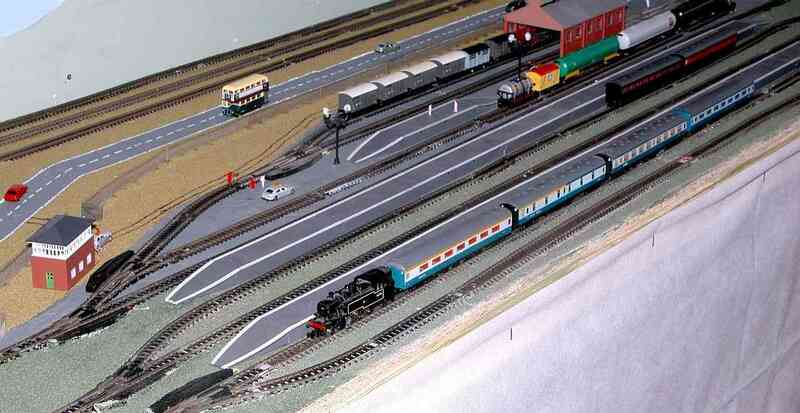 This detailed, though not prototypical, layout can be seen running LNER and LMS trains from the period just after WW2 . 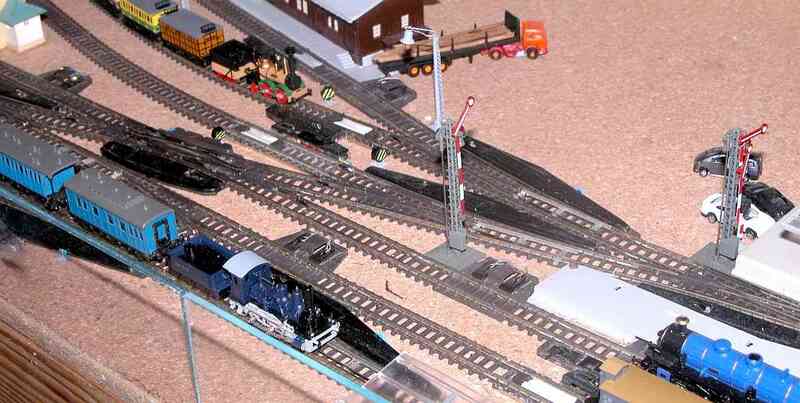 A modern image double loop layout with a parcels depot and a small loco facility (unusually fed from the hidden tracks). 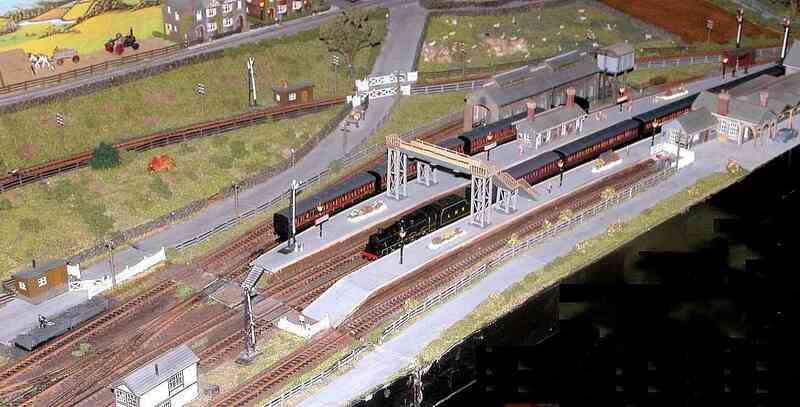 Based on 1950s BR, this locally owned layout, a work in progress, belongs to young Fochabers modeller. In my hurry, I accidentally missed Maltby. 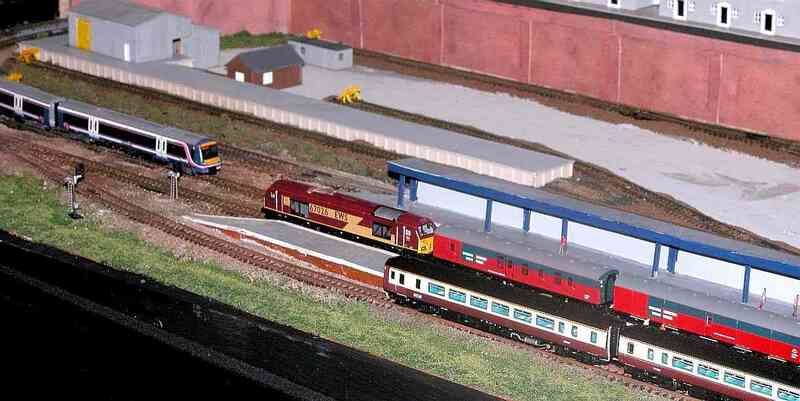 However here are two images from the Moray MRG's website. 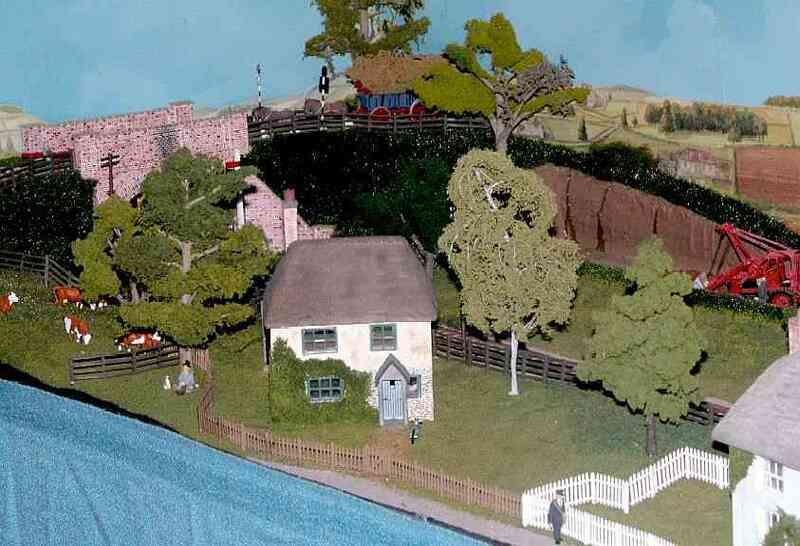 Located at he end of a fictional branch line set in the 1960s, the layout has a small canal basin for freight transfer. 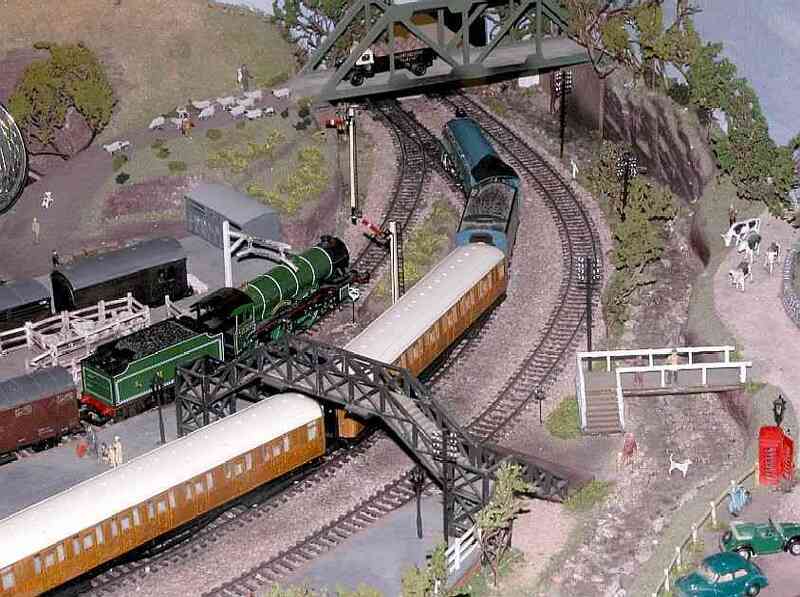 According to the programme, this should have been a post-WW2 British layout. I can only assume that, for some reason, Dundee changed the layout that they were going to exhibit to this US outline one. 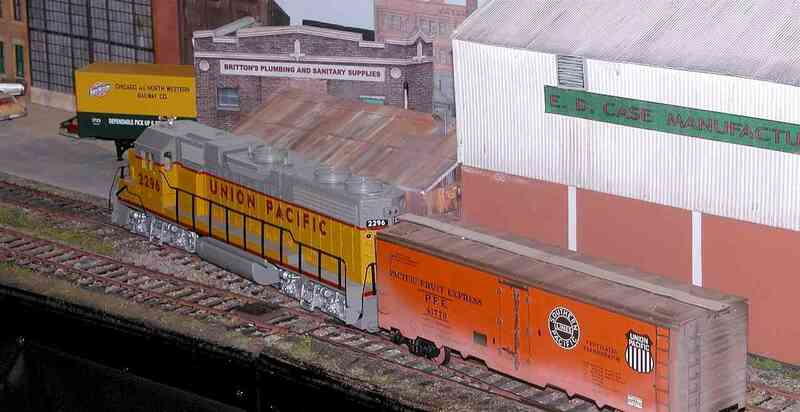 The layout depicts the downtown industrial area in a town somewhere north-west of Chicago. 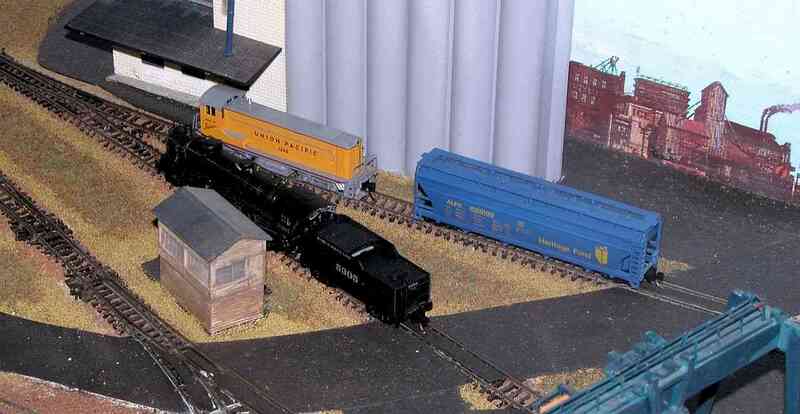 A modern image layout, featuring kit built and ready-to-run stock,, based in East Lothian. 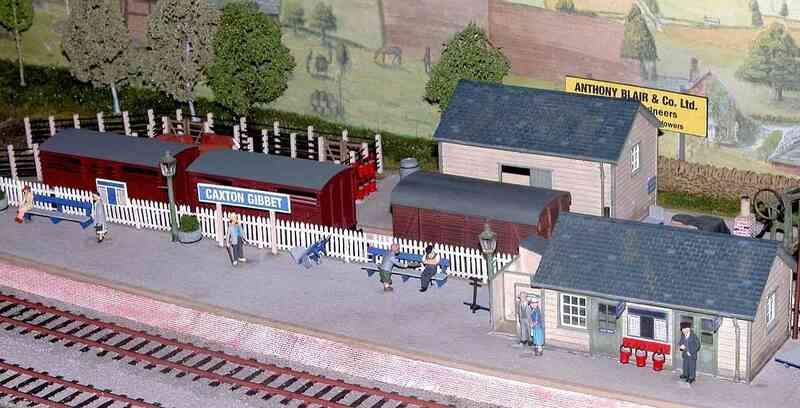 Depicting the late 1940sm, is a junction located on the East Coast main line and serving a number of local rural communities. More photos can be seen on the Moray MRG's own website.